Blanchard Spurs - Help with How to tell an authentic pair. 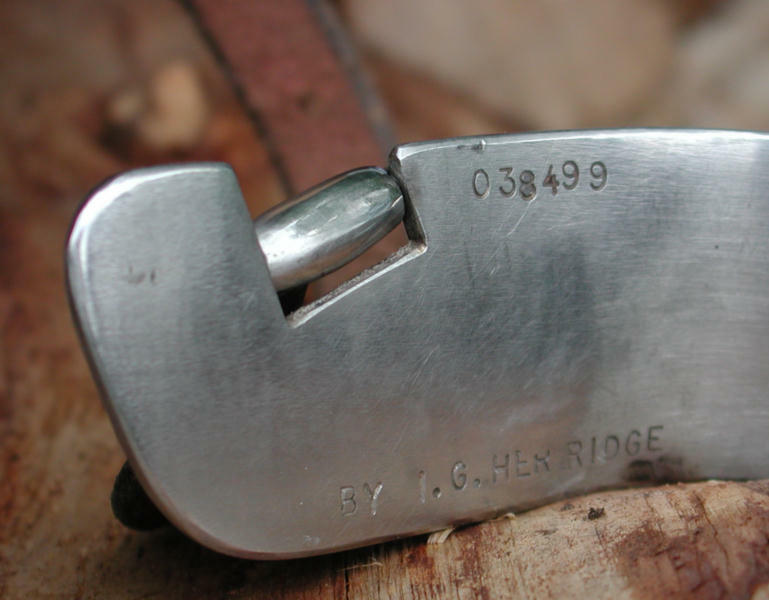 It has become very disturbing to us that there are a number of alleged "Blanchard" spurs on the market, in particular on EBay, that we believe are not authentic. The sellers even use our name as expert reference. Therefore, we feel obliged to post photos of those we, and other experts, believe to be probable fakes. 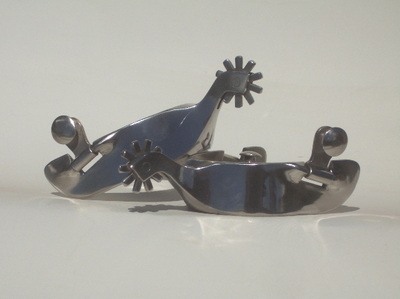 Otherwise these spurs will change hands enough until they are accepted as real Blanchards. 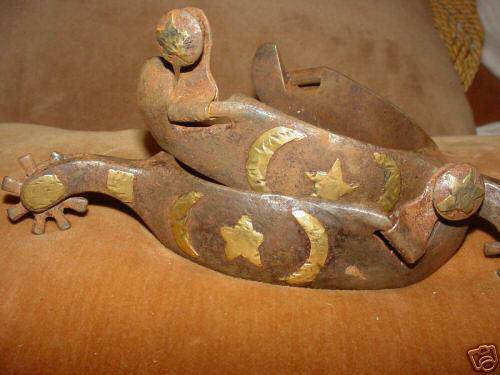 We can extend further explanations to legitimate collectors. Let the buyer beware. 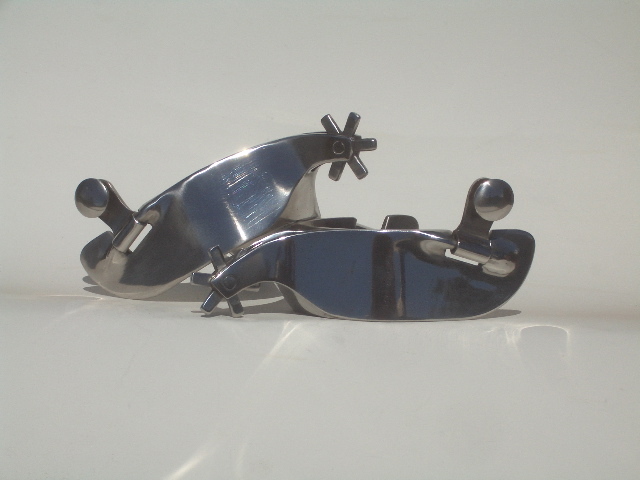 We have recently seen a number of suspect pairs of Blanchard's for sale on eBay and elsewhere. 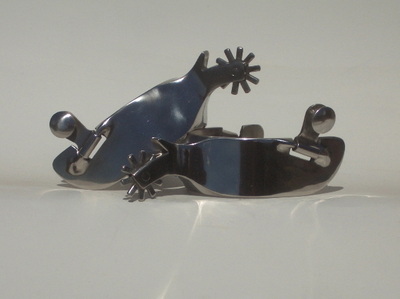 We feel the need to add this section to help folks see and understand the difference between real Blanchard spurs and reproductions or fakes. 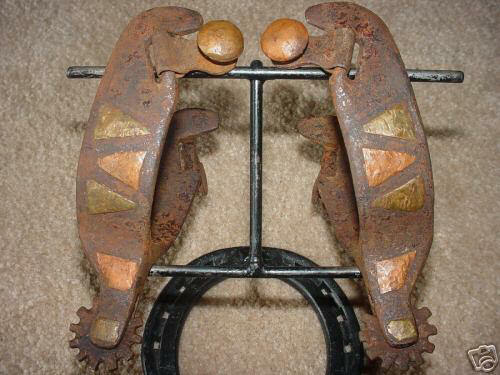 On the spurs above, the rusting has been contrived and the welding patterns and certain style points, like the chap guards, are wrong. A number of spur makers can make "Blanchard's better than Blanchard did." The style is terrific and really fits a boot. Mel makes a faithful reproduction of Ed Blanchard's #2 stainless steel spurs shown below. Marked inside the heelband: BLANCHARD SPUR CO. NO. 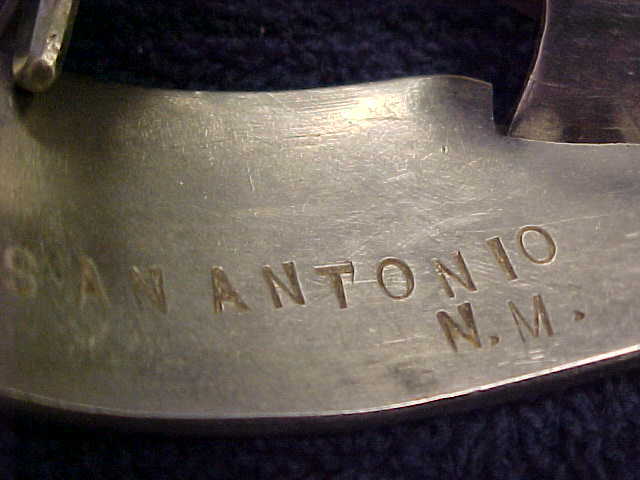 2 SS ANCHO NM. 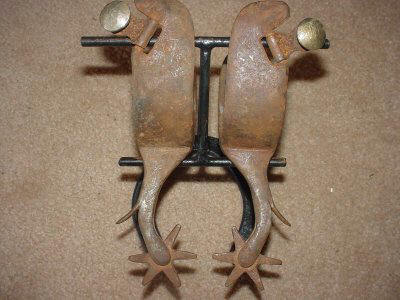 They are current production spurs and marked thus to distinguish them from Ed Blanchard's Yucca AZ spurs. 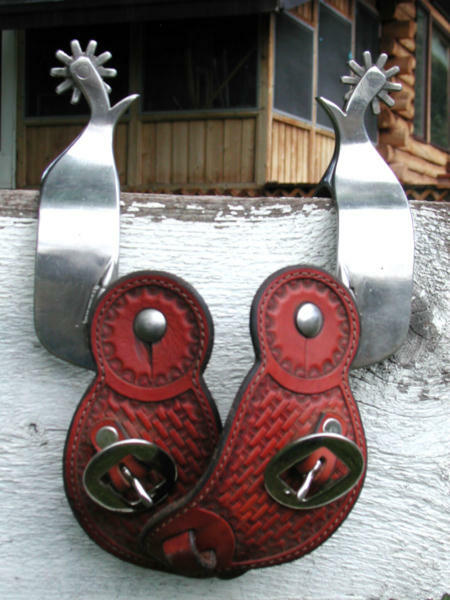 These spurs are handmade with the same craftsmanship for the working cowboy to wear or for the collector. 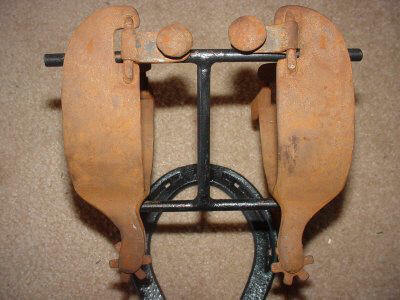 They have a 1 1/8" ten point rowel in a 2" shank on a 1 1/4" wide band. Mel says, "I make five patterns #2, #3, #4, #6 & #8. I mark them Blanchard Spur Co. since they are not my design and to distinguish them from my one piece spurs." Born April 7 1927 in Kingman, Arizona. 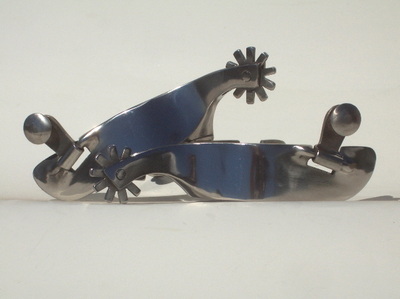 Here is another maker of excellent Blanchard-style spurs. While Herridge was living in Yucca, AZ, he studied with E. F. Blanchard and inherited his dies when Blanchard passed away. Many of his first spurs with Mr. Blanchard will say Yucca (with a number) then he moved to Kingman, AZ and kept up his business. 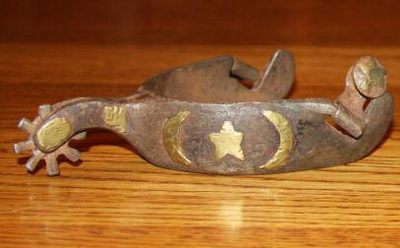 He is now deceased and these spurs are very collectible in their own right. 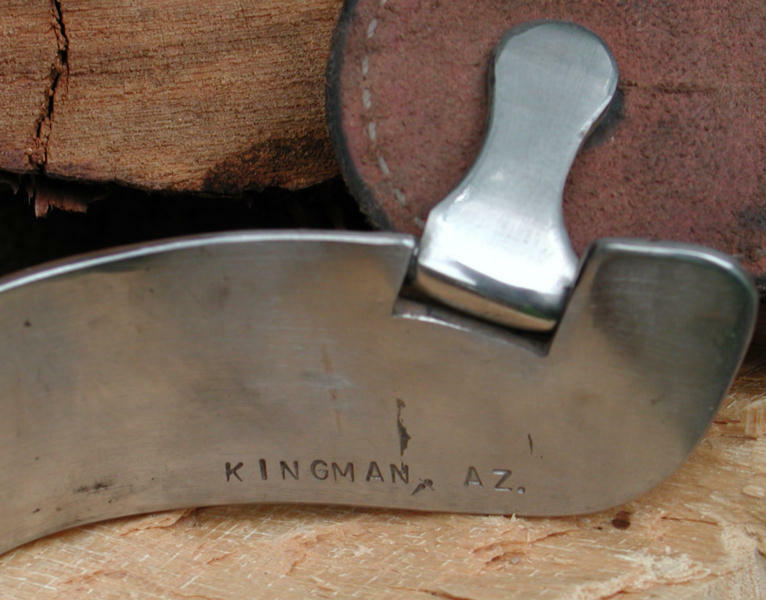 Spurs are marked with a number, Yucca or Kingman, AZ, and By I.G. Herridge. 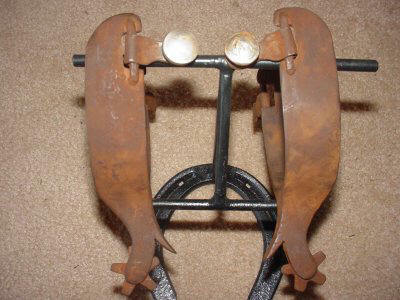 More power to the blacksmiths that can build a good pair of spurs, but they need to be marked as such, as are the above. There is a difference between a reproduction and a fake made to fool the public. 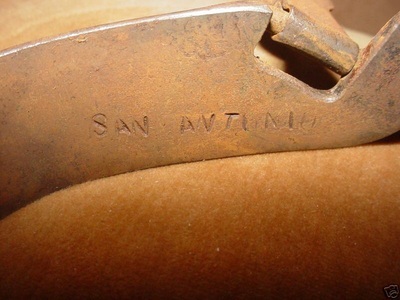 The reproduction spurs usually are marked as such, but here are some marks represented as legitimate that are suspect and why. 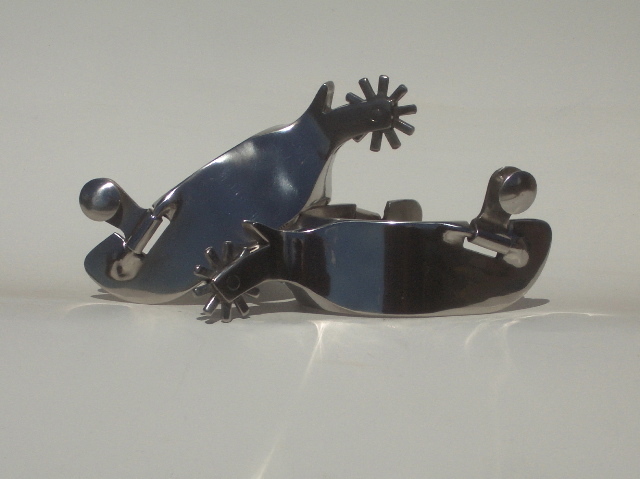 But as we educate the buyers, remember we educate the folks that make the fakes. 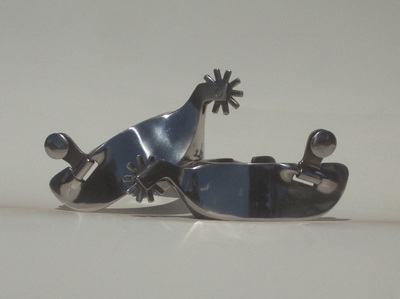 Mel Gnatkowski says, "Most people are not good at counterfeiting. Study the real thing and you will see the fakes. Knowing that there are a lot of fakes should make the serious collector more wary." With any purchase: Buyer Beware. When in doubt don't buy.